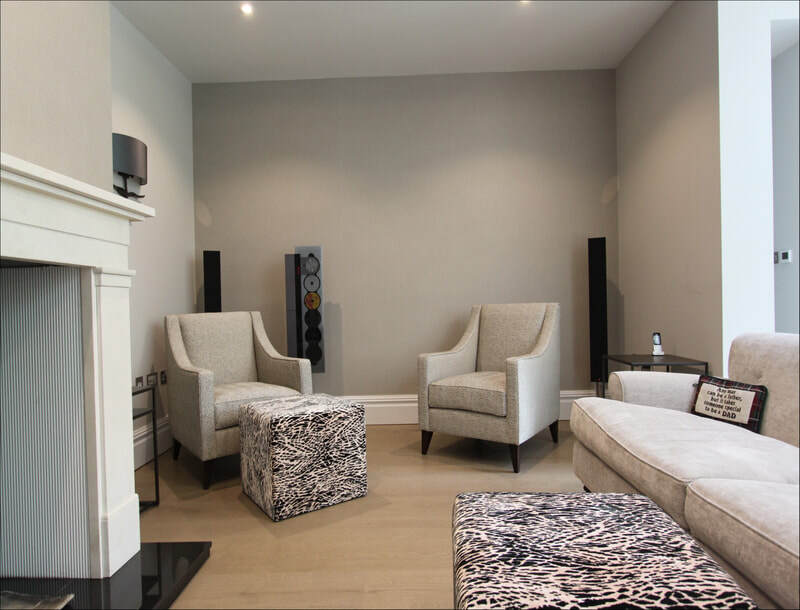 We first worked with this family in 2013 on designing and installing AV systems for their home. 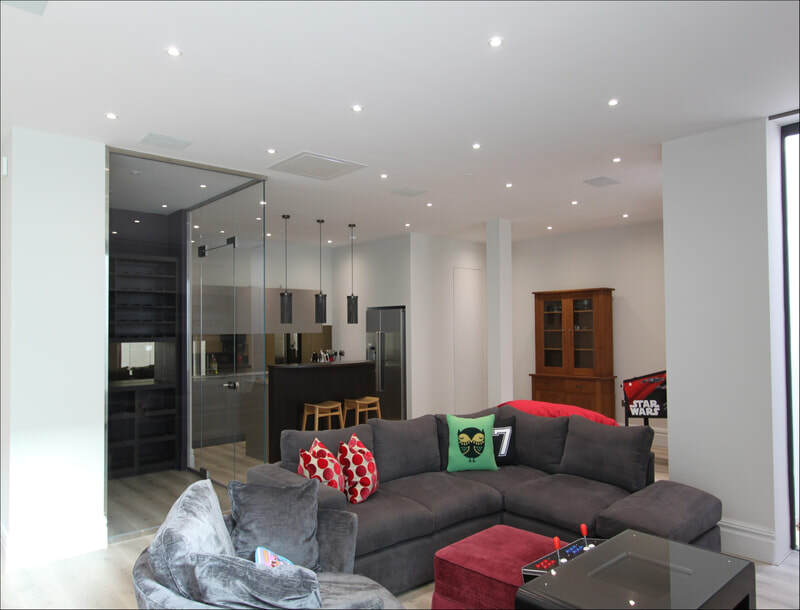 When they decided to build a basement and rear extension to the house they contacted us to upgrade and extend this system for these new spaces. A new security system was also designed and installed as well as a Cisco comprehensive home networking system including Wi Fi access through the house. The basement offered the perfect opportunity to build an amazing home cinema / games space. 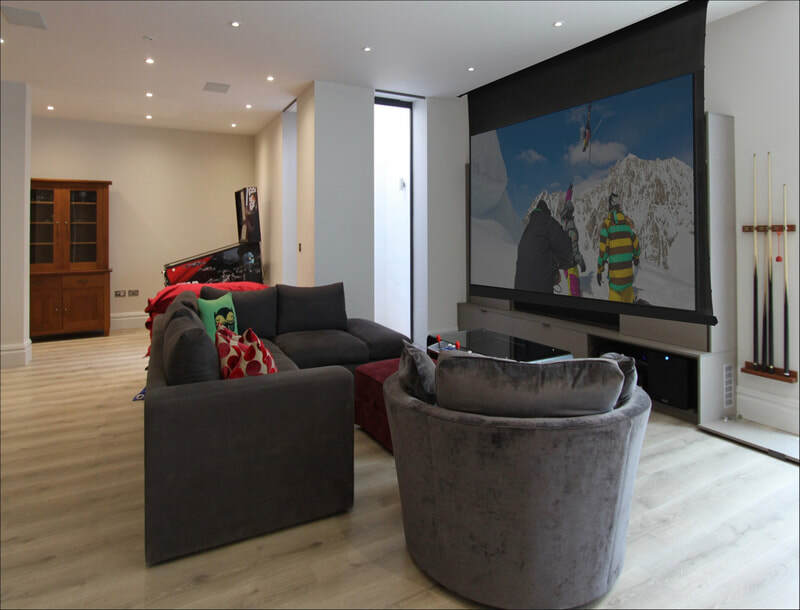 A latest generation TV was installed for day to day viewing and a drop down projector system for the special movie nights. 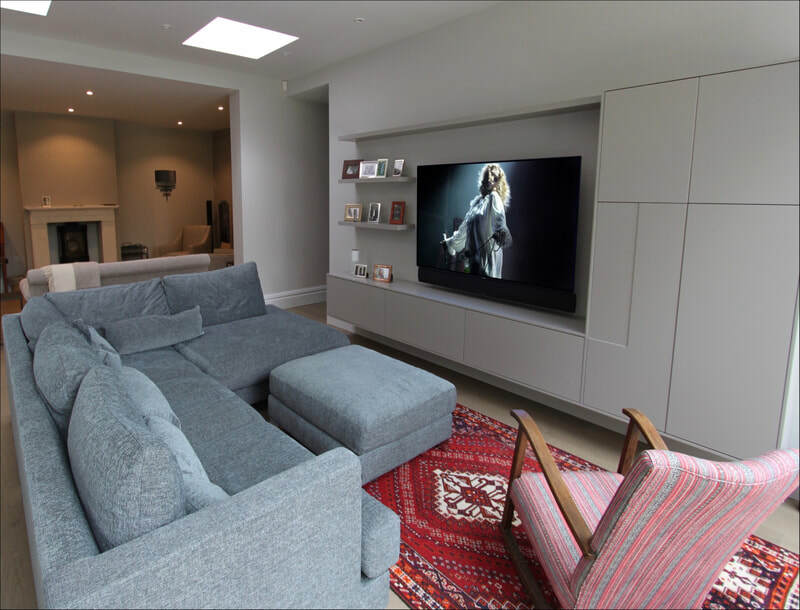 The 4K projector and projector screen are all hidden away and appear and disappear automatically when requested by the Crestron control system. 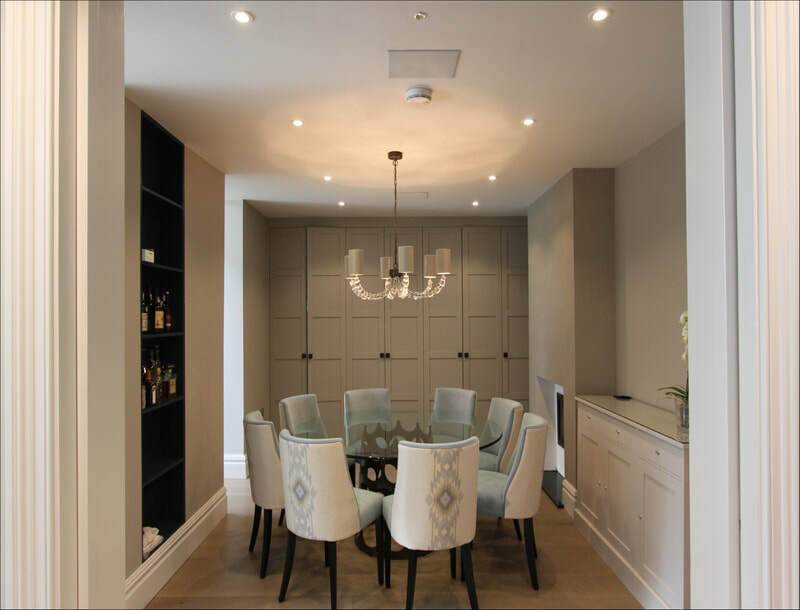 Indeed the entire AV system can be hidden completely by a sliding door system integrated into the joinery. 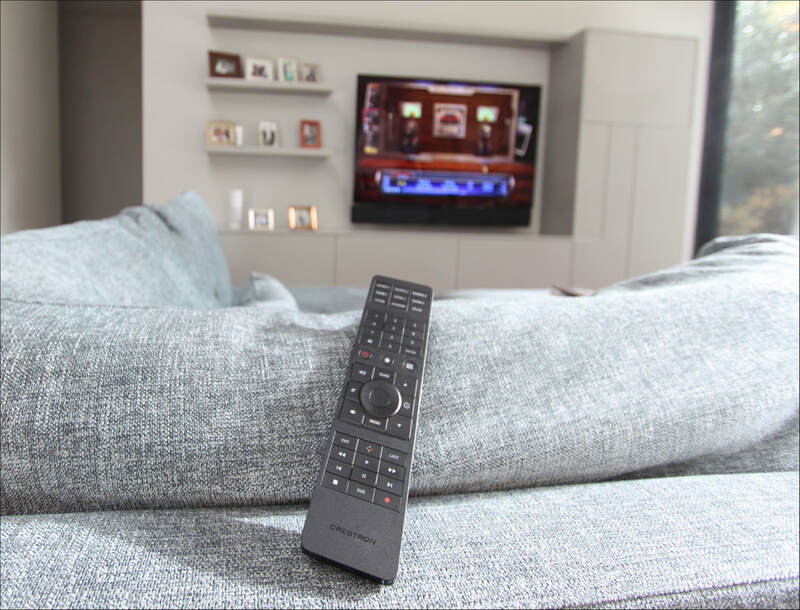 A full surround sound system including Anthem and Exposure amplification, combined with compact yet powerful Elac speakers were installed to provide thrilling soundtracks for movies and TV shows. 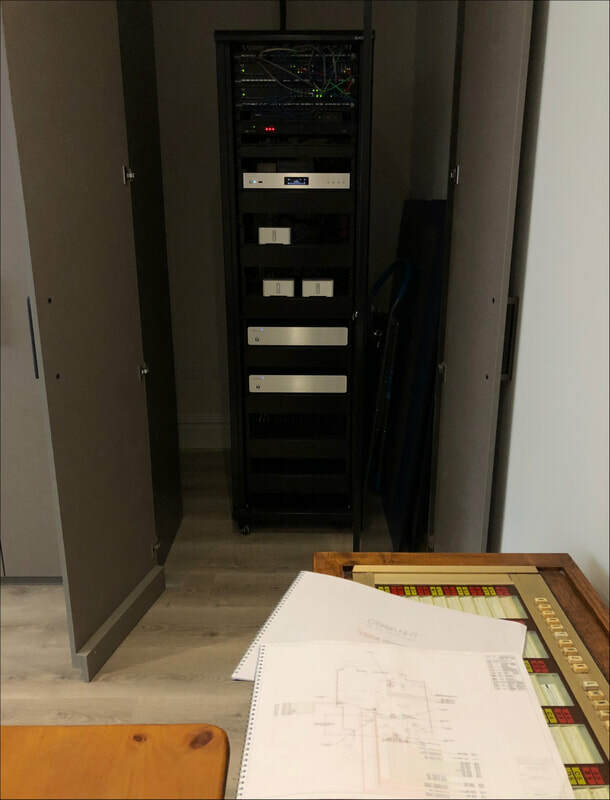 All the equipment is housed either within the central AV cabinet or completely hidden within the cabinet joinery. 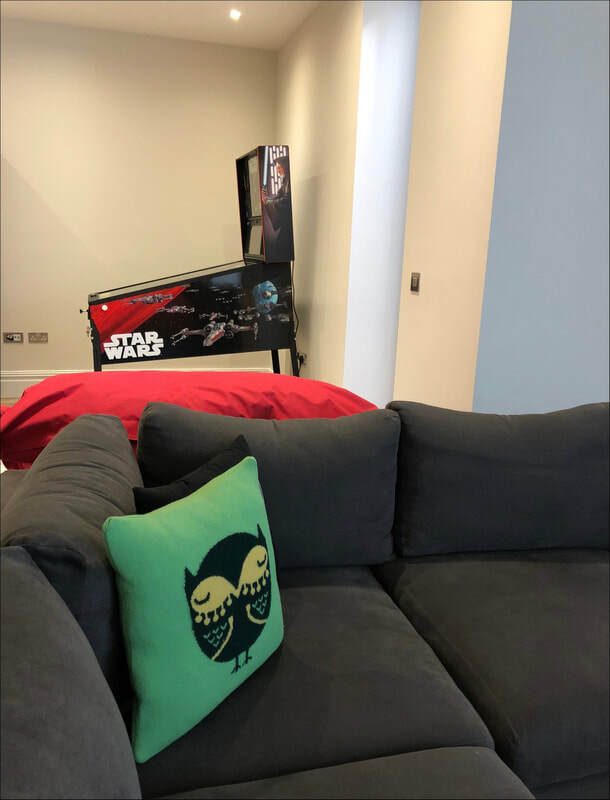 Multiple video sources were integrated including Virgin TV, 4k Blu-Ray DVD, Apple TV (inc. iTunes, Netflix & Amazon Prime), Nintendo Wii, Sony PS4 plus a video movie server housing the family's favourite films. 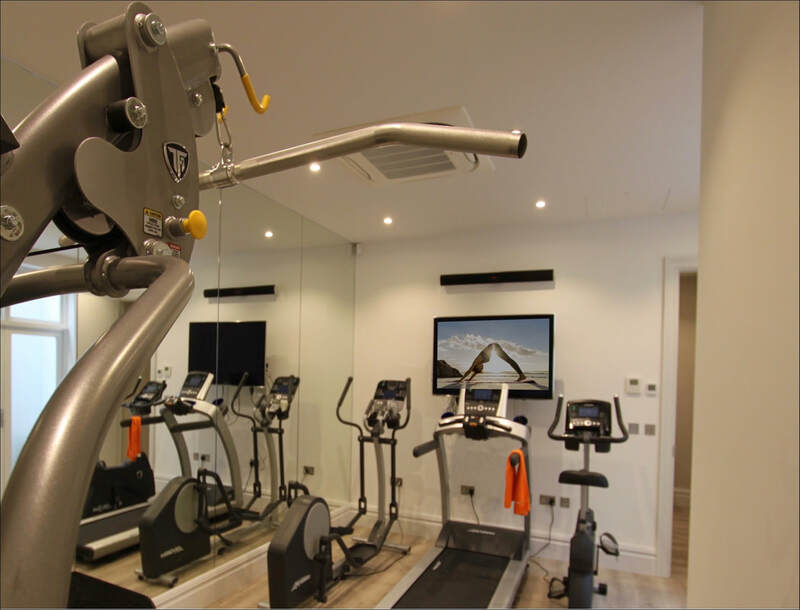 All video sources are available on all TVs including the gym and guest room. 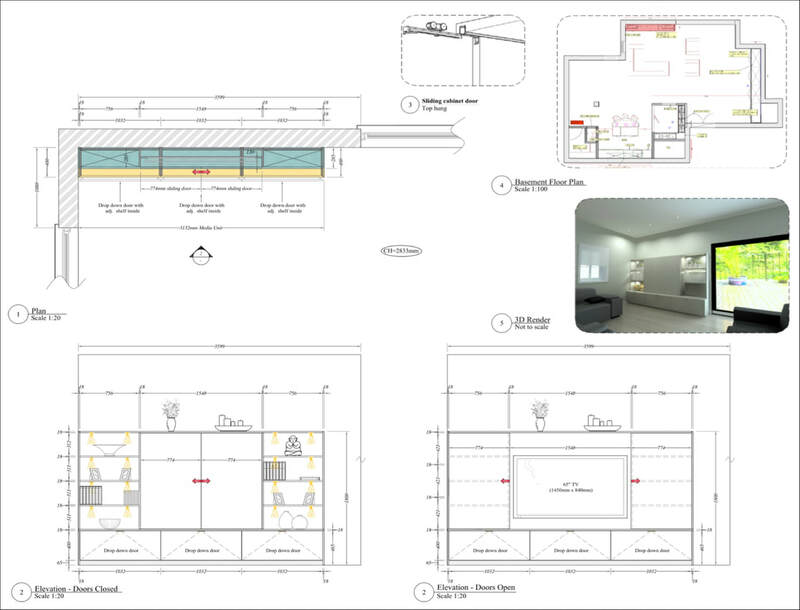 The rear extension to the house provides a kitchen, family room space as well as new sitting room and dining room. 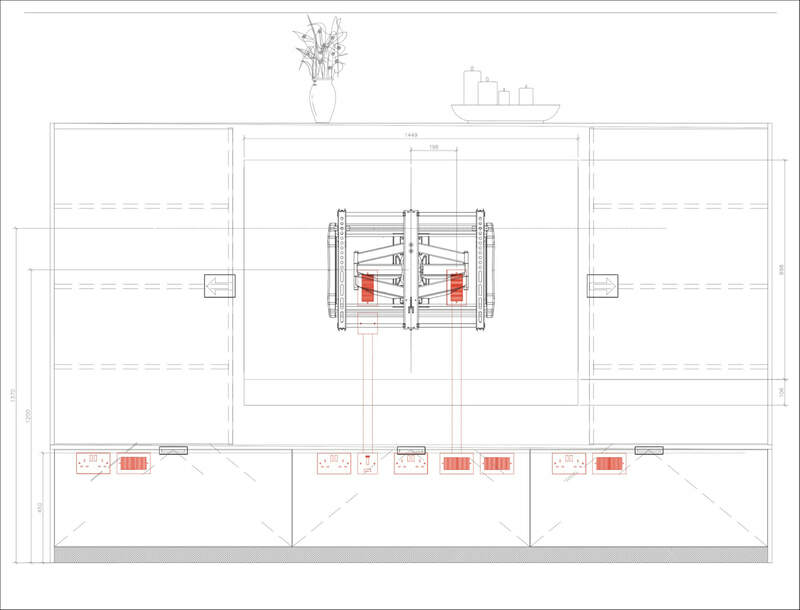 For the kitchen a latest generation TV was housed in the built in joinery and connected to the video sources. 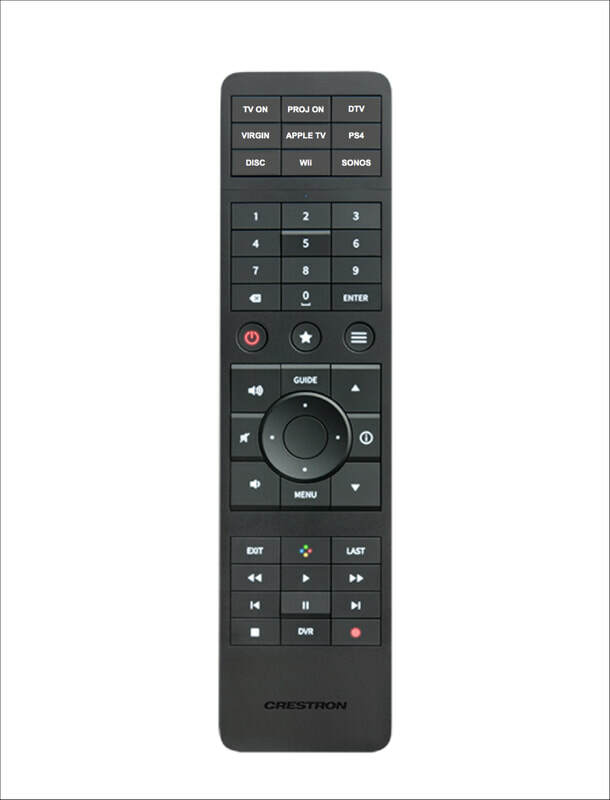 Again a simple to use single remote control from Crestron makes using the system super easy. We even had the remote control buttons engraved for visiting friends and family to pick up and use the system in seconds. 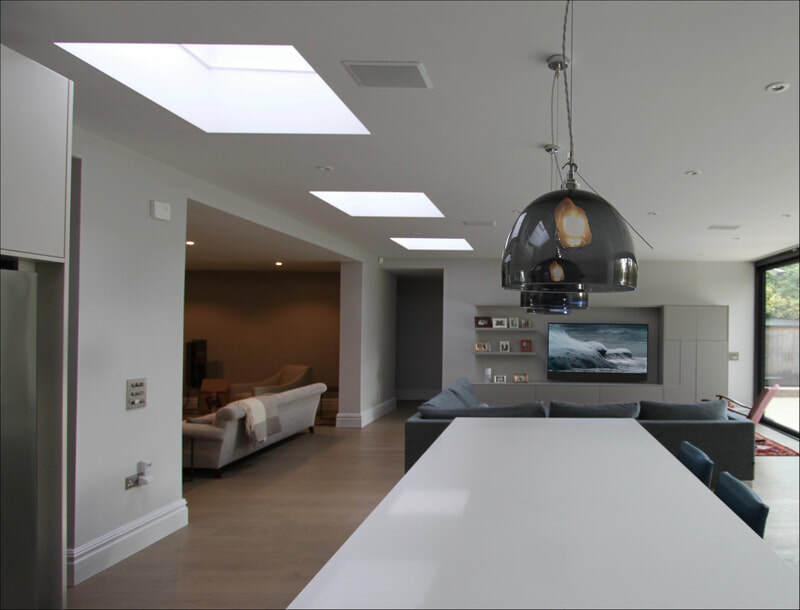 New, subtle in ceiling speakers were fitted through the rear extension to provide music in the kitchen, dining and family room. We also integrated the multi zone music system with a B&O system to bring it up to date. 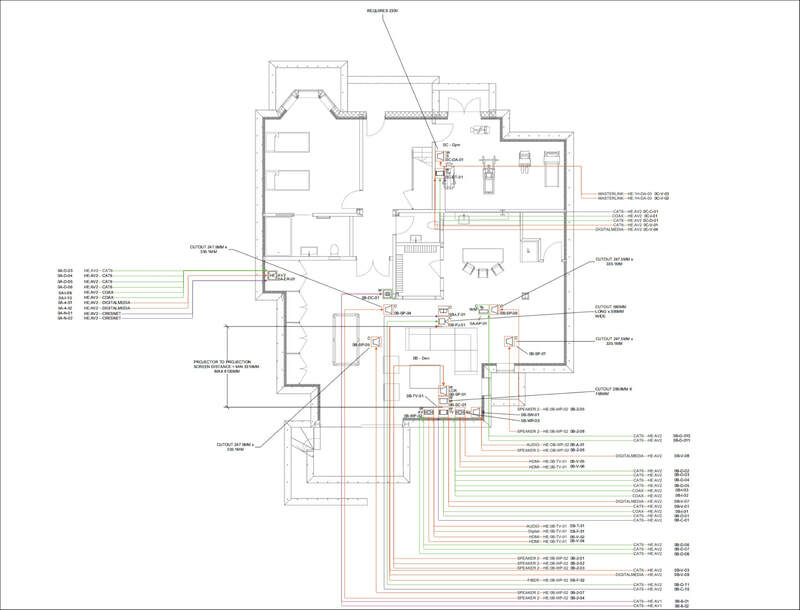 Finally a door entry system was fitted that allow the family to answer the door using their iPhones and iPads, even when they are not at home. Combined with the new security system all visitors to the house, wanted and un-wanted, can be greeted. 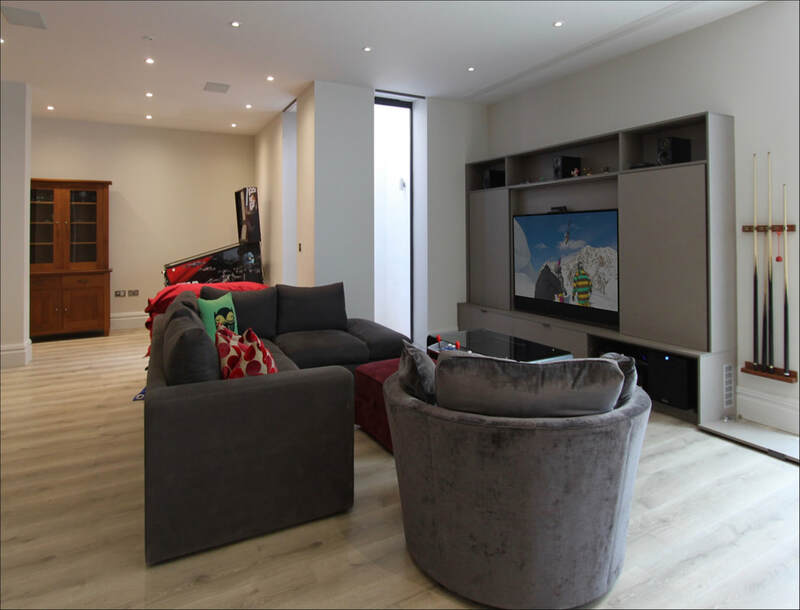 Once again we worked closely with the architects (Indigo Blue) specialist basement construction company and joinery contractors (Brayer Design), providing full schematics and engineering drawings to ensure a beautifully finished home.